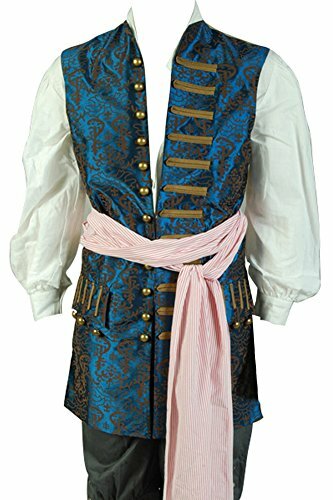 This 100% cotton top has a front print that looks like a pirate buccanneer. 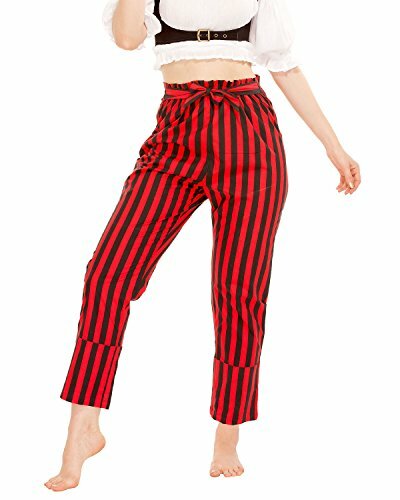 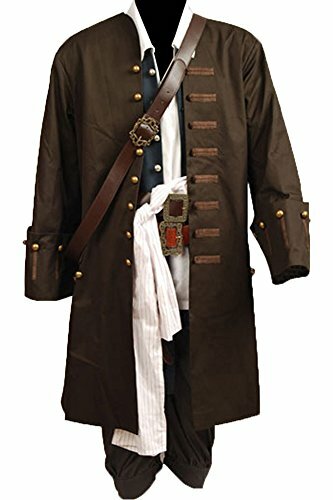 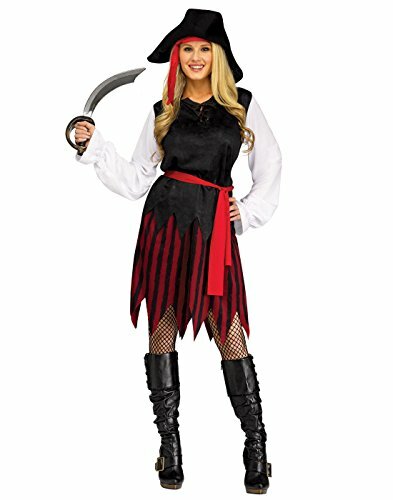 The look includes a jacket over a red-striped laced shirt, black belt over red sash, and pirate dagger. 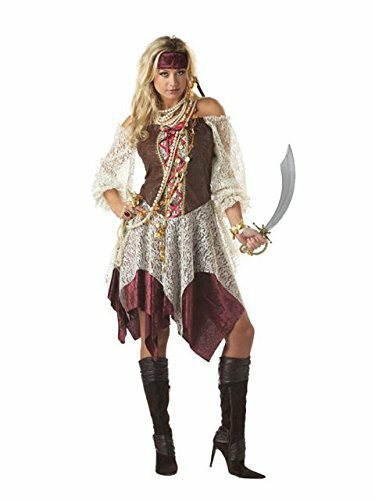 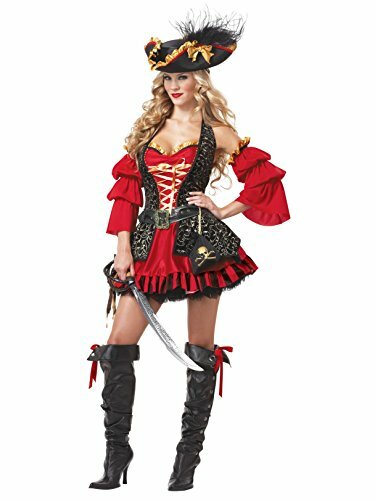 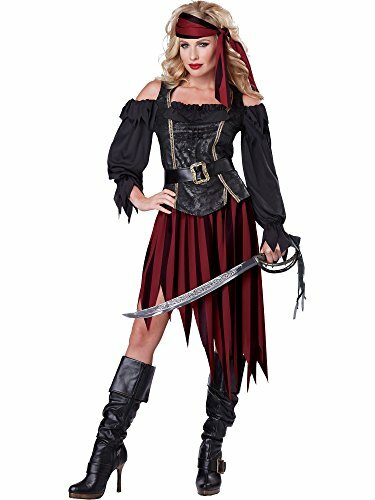 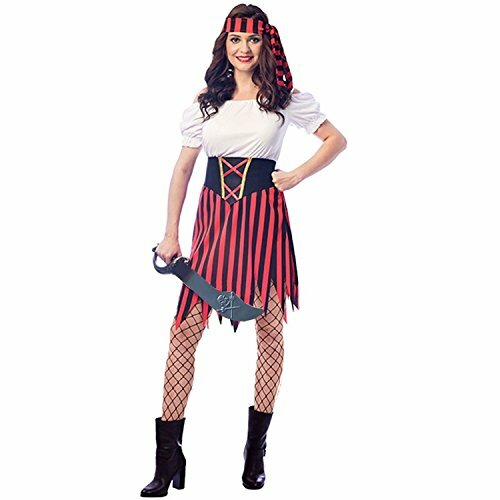 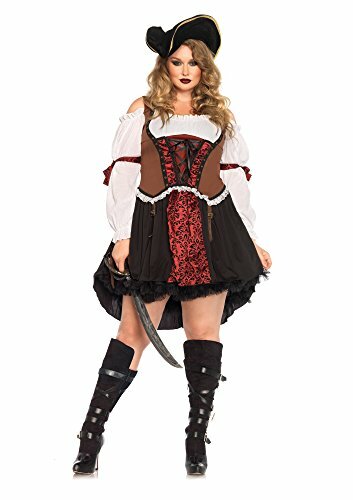 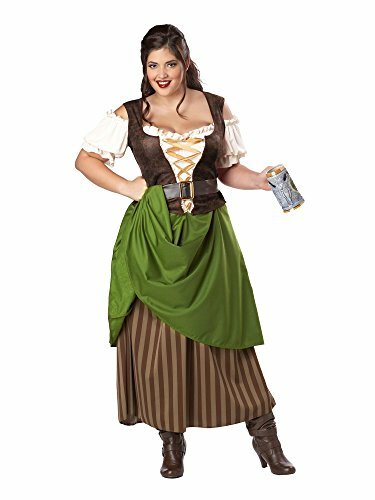 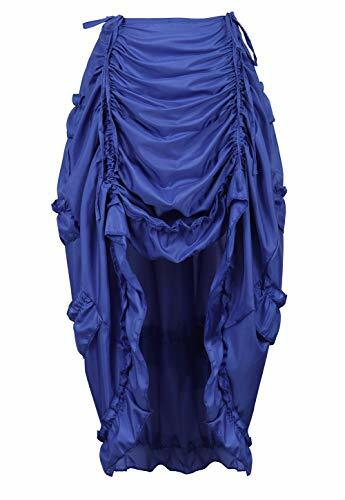 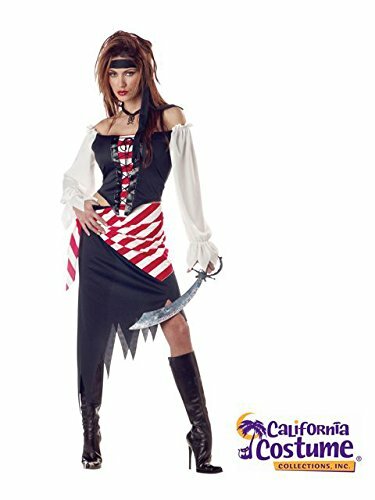 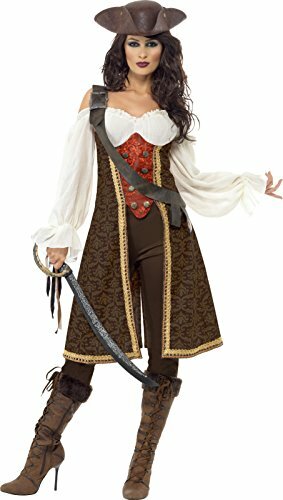 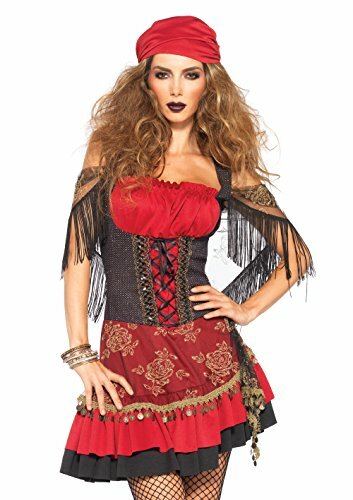 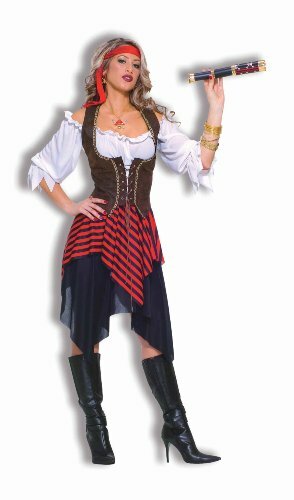 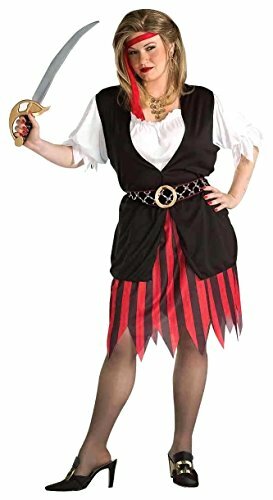 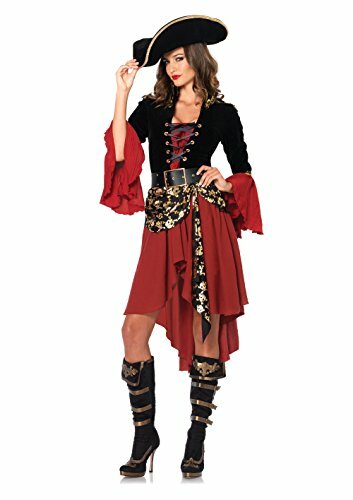 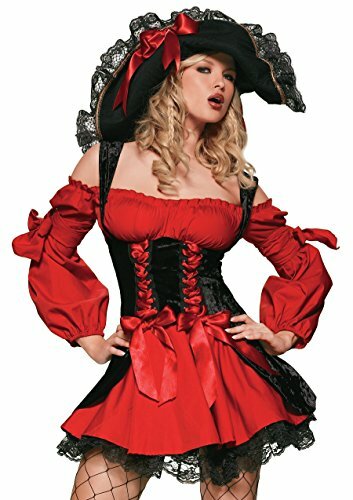 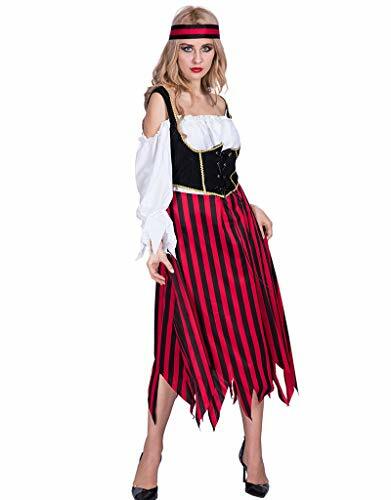 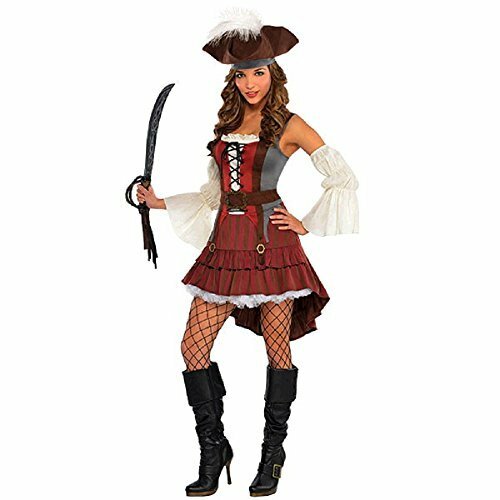 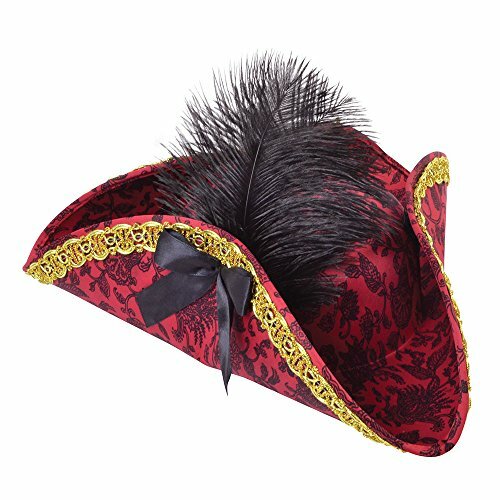 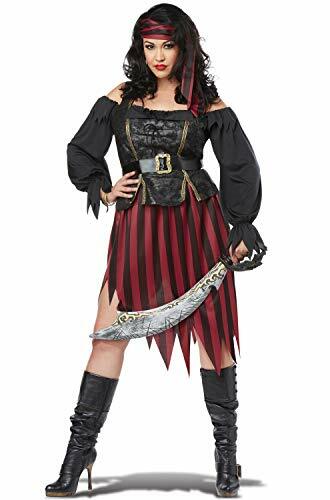 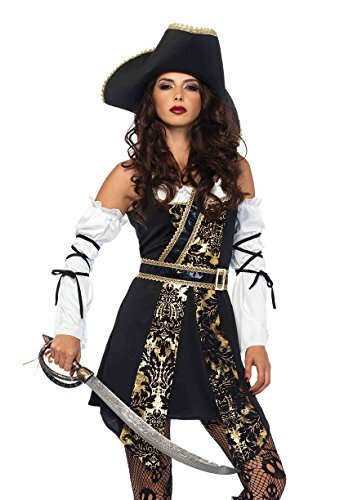 All you need is a pirate hat or bandana for a Halloween look.... View in Novelty T-Shirts Make Easy Halloween Costumes!